Help your gathering grow and distribute the Reunion Flyer in advance. 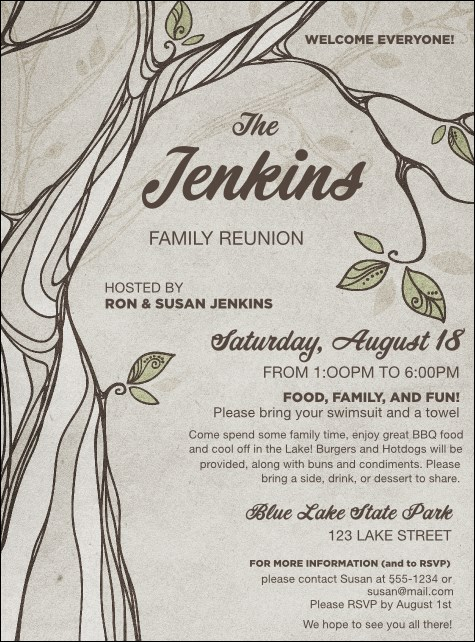 This nature-themed design can work for reunions, parties, or any outdoor celebration, with a sketch of a tree trunk in neutral colors. Event details are listed to the side in pretty script.